As someone who has just published a somewhat Gladwellian tome myself, I have a somewhat different perspective. The problem, I’ve discovered, isn’t just that Gladwell is wrong. It’s that his formulations are so darn sticky. The only problem is that, from a neuroscientific perspective, Gladwell’s “choking is the opposite of panic” doesn’t make any sense. It’s like saying “dogs are the opposite of cats” — a stimulating proposition, perhaps, but logically unparsable. Meanwhile, as it happens, a great deal of fascinating research has gone into figuring out how choking actually works. The phenomenon is an expression of a specifically social kind of fear, a variety of performance anxiety related to stage fright, panic attacks, and the “shy bladder” syndrome familiar to men at airport urinals. It has nothing to do with a negation or undersupply of panic. Okay, so who cares? If half the United States is walking around with the erroneous notion that they are in possession of a really nifty insight into the nature of choking, so be it. No harm, no foul. But some bogus memes are less innocent. One of the chapters in Gladwell’s second book, Blink, concerns the work of the University of California psychologist Paul Ekman, a man who, according to Gladwell, has mastered the secret of lie detection. Thanks to a combination of innate skill and scientific savvy, Ekman has supposedly trained himself to detect fleeting “micro-expressions” on a liar’s face and so can determine their true emotional state with stunning accuracy. It was the best chapter of the book, maybe the best chapter Gladwell has ever written. When Universal Studios paid $1 million for the movie rights to Blink, this was the part they really wanted; when the deal was inked, the studio announced that Steven Gaghan was attached to the project to write and direct, and Leonardo DiCaprio would star as an Ekman-like character. That film is still gestating, but meanwhile the Gladwell/Ekman juggernaut has already steamrollered across the public consciousness through the Fox TV show “Lie to Me,” currently in its second season. In the show, Tim Roth stars as Dr. Cal Lightman, the protagonist with Ekman-type powers. The real Ekman serves as a script adviser to the show and writes about each episode on his blog. You might think, given Ekman’s cultural ubiquity, that his discoveries on the subject of lying have laid the groundwork for a whole sub-field of research psychology. On the contrary. In fact, it has been well established by peer-reviewed studies that, Ekman’s claims notwithstanding, no one can reliably tell whether or not another human being is lying simply by looking at them. “It’s hokum,” says Yale psychologist Charles A. Morgan III. So SPOT, it turns out, was a $3-million-a-year waste of taxpayer money. So “Lie to Me” is scarcely more scientifically grounded than “Ghost Whisperer.” Well, okay. Dumb TV shows and wasteful government programs are nothing new. What’s really disturbing, though, is that once Gladwell had granted Ekman his intellectual seal of approval, no one in the popular media was willing or able to point out that the good professor’s claims were spurious. That’s the problem of Gladwell in a nutshell. He’s masterful at brewing up memes so potent that they travel far beyond the realm of where the mere modest truth would go. They spread. And they stick. And having stuck, they proceed to affect the decisions that people make, the policies they implement, the laws that they pass. A normal person, when he is wrong, adds a little drop of erroneousness in the great sea of human conversation. 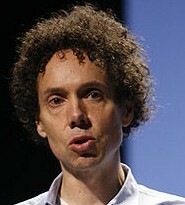 Gladwell, when he is wrong, creates a tsunami of wrong. I’ve never read Blink, but I have studied Ekman’s work. He never claims that his methods are 100% accurate. He never says you can just look at someone and know if they’re lying. You have to do things like establish a baseline, which take much longer than shows like Lie to Me depict it to be (Hollywood sensationalizes things, I’m sure we all know by now). I don’t think the point of SPOT was to simply know on the spot (pun fully intended) if people were lying. But to help detect which people should be pulled in for questioning. It’s far better than racial profiling, for example. Oh and it’s more accurate than lie detectors and fMRI as well.